On 21 February 1916 the German Fifth Army launched a devastating offensive against French forces at Verdun and set in motion one of the most harrowing and prolonged battles of the Great War. By the time the struggle finished ten months later, over 650,000 men had been killed or wounded or were missing, and the terrible memory of the battle had been etched into the histories of France and Germany. This epic trial of military and national strength cannot be properly understood without visiting, and walking, the battlefield, and this is the purpose of Christina Holstein's invaluable guide. 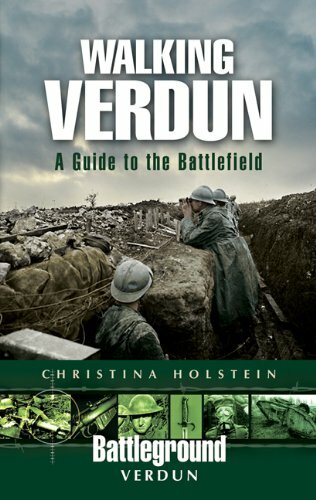 In a series of walks she takes the reader to all the key points on the battlefield, many of which have attained almost legendary status - the spot where Colonel Driant was killed, the forts of Douaumont, Vaux and Souville, the Mort Homme ridge, and Verdun itself.